Even at the age of 66, Charlie Daniels would rather be on the road entertaining his fans than anywhere else. You might think that after nearly five decades in music and 30 years with the Charlie Daniels Band, he'd have a little trouble getting excited about a new tour. You'd be wrong. "I don't have a problem doing that," Daniels says. "It's a lot of fun. I just thank God that I can make a living doing something I enjoy so much." Daniels is currently out in support of a new album, "Redneck Fiddlin' Man." The title pretty much sums up everything you need to know about the country rocker, and the sound is everything his fans expect. 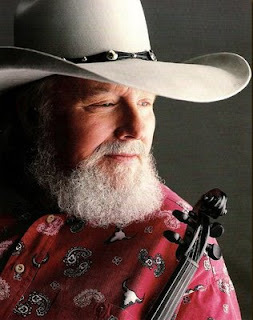 "It features a fiddle on all the cuts; it's pretty much a straight-ahead CDB album," Daniels says. "It's got a lot of uptempo stuff on it. Travis Tritt did a duet with me, and Garth Brooks sang harmony with me on a song. But most of it's just me and the band kind of beating it out." 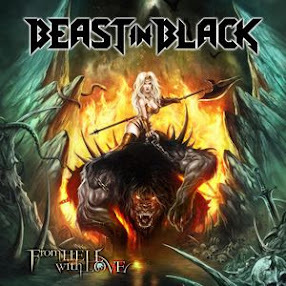 What that means is an album that can appeal to country fans as well as rock and blues fans. Daniels is one of a handful of country artists who enjoys respect from fans of rock and other kinds of music. "We don't really specialize in any one particular kind of music; we play some of all of it," Daniels says. "We don't claim to be one thing or another. We just claim to be the Charlie Daniels Band, playing Charlie Daniels Band music. Whatever it is, it is." The new album features a couple of Daniels' classic country rockers like "Little Joe and Big Bill," "Southern Boy" (with Tritt) and "Rock This Joint." It's also got a couple of his famous jam songs ("Redneck Fiddlin' Man," "Crosstown Traffic"), a Cajun-flavored tune ("Fais Do Do") and a few moments that reflect on Sept. 11 ("Last Fallen Hero" and a fiddle rendition of "The Star-Spangled Banner"). The song "Last Fallen Hero" and a previous Sept. 11 song "This Ain't No Rag, It's a Flag" have drawn criticism from some, but not from Daniels' fans. They've become two of his most popular songs in years. "We appeal to the old boys that farm and work hard for a living," Daniels says. "They're kind of where we're at, and they seem to like those kinds of things, so I'm glad about it." Daniels isn't shy about letting people know how he feels, and it isn't his first brush with controversy either. He aired some of his opinions on crime, drugs and politics in the 1989 song "Simple Man." "It just depends on what I'm thinking about and what's on my mind," he says. "If something's strong on my mind, I'll write about it sometimes." He's also begun posting his opinions on a section of his Web site called the Soapbox. Fans can read what Daniels thinks on a variety of subjects from political to personal. "I've always been pretty opinionated, and one day I just thought: I'll just sit down and write something here," he says. "I did it, and it was pretty well received, so I decided I might do it on a regular basis." His political opinions often earn him an inbox full of e-mail from both supporters and detractors. "I get all kinds of responses," he says. "Some people don't like what I say, and some do. I think most of our people - the people we appeal to - agree." But Daniels says he doesn't mind the people who disagree with him. That's just part of what makes America "the greatest country in the world." "That's their right; they can certainly disagree," he says. "As long as they're intelligent about it. Some of them are just absolutely asinine. People write and say `you're a big, fat slob.' Well I may be, but I ain't the only one." Political opinions aren't the only thing he airs, though. He's also talked about some intensely personal issues - including his battle with prostate cancer. He says he hopes to help others by providing some insight. "That's a very common thing with men, especially up around my age, and even younger," he says. "I feel that they need to understand it's very important to stay on top of their PSA levels, because it can save your life. I think it's an important issue, and that's why I do it." No matter what his opinions are, though, his legacy is his music - and there's more than 30 years of it with the Charlie Daniels Band alone. In his career, he's played with some of the luminaries of music, including a three album stint with Bob Dylan in the late 1960s. So, after all of that, is there anything else left for him to do? "There's always a mountain to climb," Daniels says. "I'm still working on my first goal - to have every album platinum and every concert sold out. If I get that done, then I'll move on to something else." And retirement? It's not an option for Daniels. "What would I do?" he says. "Sit around the living room and play guitar? I might as well get paid for it."